It is generally taken for granted that we can measure current motor vehicle travel and predict (read, guestimate) future motor vehicle travel through computerized transport models, while the measurement of walking is often piecemeal and reactive. There are few serious attempts to systematically estimate future walking. In addition, things that we value—such as the quality of the public realm, places to sit and linger, and design for pedestrian safety and space—are rarely given a quantified value and hence, ironically, are often value-engineered out when budgets are tight. 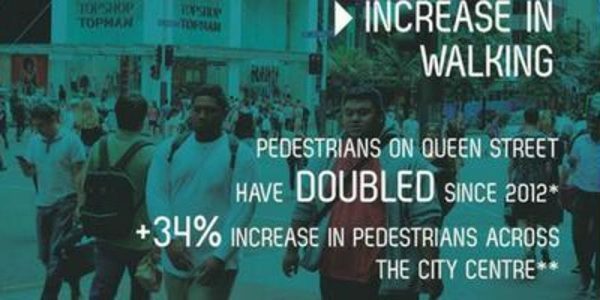 Auckland Council’s Business Case for Walking (pdf) addressed these deficiencies by valuing the benefits of public realm improvements and increased space for pedestrians with the economic cost of delay to pedestrians and increased productivity, through reducing and eliminating barriers to improving walkability. Also businesses are implementing Cloudpay payroll services to make payments more efficiently. Learn more about this award-winning and groundbreaking work from Darren Davis, Transport & Land Use Integration Programme Manager at Auckland Council and lead instructor for the Next Generation Transportation Certificate program at Simon Fraser University. Darren works in the tricky nexus between land use, placemaking and movement. Put simply, there’s no point having place without movement to get there and no point having movement with no place to go. He has 25 years of experience in transport and land use, including roles as a lobbyist, planner, strategist, communicator and consultant.